Cell phones today are almost a necessity rather than a luxury item. Consumers are willing to pay anywhere from $30 to $100 or more a month for contract wireless plans with their carrier of choice. Meanwhile, technology is advancing so rapidly that wireless device manufacturers are constantly producing “top of the line” devices influencing consumers to keep up with the “Smartphone” trend. The average monthly bill for an individual wireless contract has been fairly constant over the past six or seven years, and comes out to approximately $50 dollars.1 The reason for this recent consistency is due to the recent newcomers in the industry which are offering cheaper alternatives such as no-contract plans with minimal features as well as low monthly bills. This subsequently pulls down the national average of individual wireless bills as larger companies will have to offer more services and features to support their high prices and compete with low-price carriers. Over the past five years, the Wireless Telecommunications Carrier industry has seen an extreme growth period generating revenue of over $191 billion dollars in 2009. 2 In fact, more and more consumers are adding to the recent trend of doing away with their landline service and leaving “the phone company” altogether to depend on their cell phones for their voice, messaging, e-mail needs. Due to the fact that the four big players generate about 90 percent of the industry revenue, this is a highly concentrated industry which leads to cut-throat competition between them. The reasons for this are due to the high barriers of entering such a market. The industry is highly regulated involving geographic restrictions, licenses and patent requirements. At the same time, the amount of capital needed to enter this market is incredibly high, costing billions of dollars for wireless telecommunication networks and facilities. Mergers and acquisitions in this industry happen quite frequently. The most recent is the Verizon’s acquisition of Alltel Wireless in 2009. This move makes Verizon the largest wireless carrier to date. Another recent and significant move was the merger between Sprint and Nextel.2 More and more of this type of activity has been common ground in this industry as larger corporations are buying and merging with smaller companies to increase their market share and enjoy a competitive advantage over their industry rivals. This activity further increases the industry concentration, as well as, increases the barriers for potential new entrants. Wireless carriers are coming up with new ways each day to compete and stay on top, whether it is cutting prices, expanding to new geographic locations, or by creating more value added services for their customers to enjoy. When most people purchase a wireless plan or contract, they usually would like a phone as well. Therefore, wireless carriers work closely with wireless device manufacturers such as Nokia, Apple, Palm, HTC, and Google, to develop products that appeal to the consumers. These wireless device manufacturers need a channel in order to distribute and sell their products. At the same time, the wireless carriers cannot simply offer wireless plans and contracts without offering a device to use them on. This leads to intense marketing and advertising to push and sell both products together. Commercials and ads are shown on TV, magazines, and on the radio involving a lower priced handset with the purchase of a two-year contract from the carrier. Today, cell phones are no long just “phones.” They do much more than that and have recently evolved into “smartphones.” Consumers want more than just voice service anywhere. Other channels of communication are gaining huge popularity such as SMS (short message service) texting, MMS (multimedia messaging service), e-mail, and social networks such as Twitter and Facebook. Since these forms of communication proved to be important to customers, carriers and manufacturers try to incorporate these into their devices and networks in a way that is as user-friendly as possible so that subscribers can seamlessly make the transition from home to the road whenever they need to. With technology evolving so rapidly, manufacturers are packing as much as they can into these phones until they almost seem like mobile computers. This type of activity includes 5-8 megapixel cameras with a flash, secondary cameras on the front for videoconferencing, Wi-Fi, Bluetooth, touch-screen LCDs, and faster processors with more advanced web browsers. On the other hand, carriers are doing what they can to keep up. Increased network speeds are being put in place with the switch from 3G to 3.5G, and now we will begin to see 4G this year. 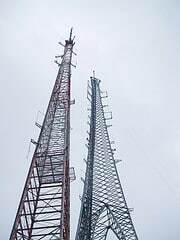 This involves more network towers being built, more coverage in more areas, as well as more stable services and network reliability. So what can we expect to see later this year or in the years to follow? Other companies are coming out with impressive technology similar to this that is completely new and innovative. So what can we see in the next five years? 4 “New Nokia Patent Application Hints at Phones with Flexible Displays.” Unwired View. Web. 26 Feb. 2010. <http://www.unwiredview.com/2010/01/18/new-nokia-patent-application-hints-at-phones-with-flexible-displays/ >. 5 “Nokia Using Radio Waves to Potentially Charge Mobile Phones – Mobile and Wireless from EWeek.” Technology News, Tech Product Reviews, Research and Enterprise Analysis – EWeek. Web. 26 Feb. 2010. <http://www.eweek.com/c/a/Mobile-and-Wireless/Nokia-Using-Radio-Waves-to-Charge-Mobile-Phones-632420 />. 6 “Nokia’s Next Gen Phone: 12MP Cam, 720p, HDMI – Tom’s Guide.” Tom’s Guide: Your High-Tech Source of Information. Web. 26 Feb. 2010. <http://www.tomsguide.com/us/Nokia-720p-HDMI-12mp-symbian,news-5810.html >. SBDCNet distributes limited competitor and/or supplier lists from industry accepted resources, but cannot guarantee accuracy. SBDCNet does not provide marketing lists, medical or legal advice. Additional inquiry with local, city, county, state and federal agencies is suggested regarding business permits, licenses and regulations as SBDCNet cannot guarantee completeness. Preliminary patent and trademark searches do not constitute legal advice and consultation with an intellectual property attorney is advised.